Radu Albot and Malek Jaziri unexpectedly booked their place n the semifinals after defeating fourth seeds Jamir Murray and Bruno Soares in straight sets. Unseeded Radu Albot and Malek Jaziri continued their upset spree by taking out the fourth seeds Jamie Murray and Bruno Soares 7-5, 6-4 to reach the US Open semifinals. Having taken out the sixth seeds earlier on in the competition, the unseeded pair Albot/Jaziri was looking for their second biggest scalp. And it would be they who would have the chance to strike first, bringing up two break points in the third game. A forehand crosscourt winner from Albot following a mini exchange handed the first break to the unseeded pair. But they were in danger of gifting it back in the next game with Murray/Soares earning a break back point. Albot crumbed on serve, firing a double-fault to gift the break back. And for the first time in three games, the fourth seeds held serve to edge out infront at 2-3. The Moldovan-Turk followed suit to make it 3-3. Both teams then found a temporary rhythm on serve, holding their next two games with the set at 5-5. 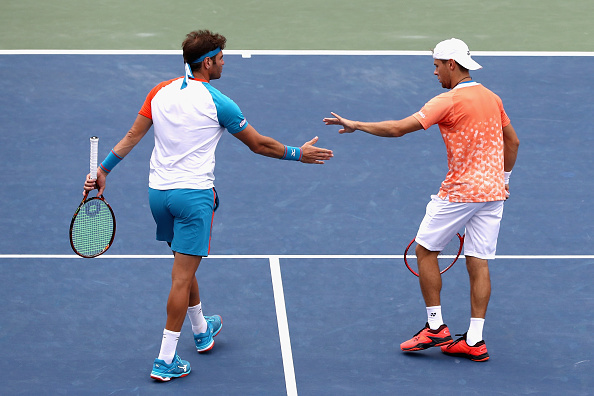 From love-30 ahead, Albot/Jaziri won four points on the bounce to bring up a crucial break point opportunity. An unreturnable serve sent the game to deuce but the unseeded pair battled to earn a second break point, one they would take to lead 6-5. The pair would earn a set point at 30-40 after the Brazilian narrowly sent a forehand volley wide after a challenge. Another upset was on the cards as the unseeded pair sealed the set 7-5. The start of the second saw both teams once again hold serve. The third game saw a number of errors from the Brit-Brazilian pair who fell behind triple break points. They managed to save two of those but the unseeded pair continued their excellent play to get the breakthrough in the set for 2-1. The fourth seeds would attempt to replicate the first set and break back, and had two opportunities in the fourth game which were both missed as Albot/Jaziri consolidated to make it 3-1. The unseeded pair was constantly being put under pressure by Murray/Soares who again brought up a breakpoint t 30-40 with the Brit closing the net and playing a volley down the middle. An excellent unreturnable serve sent the game to deuce. However, a second break point would arrive for the fourth seeds, who would fail to break back, allowing Albot/Jaziri to hold again for 4-2. The eighth game would for the umpteenth time see the Moldovan-Turk being forced to save a break point en-route to holding and making it 5-3. The pair would then have a break/match point saved with the fourth seeds holding for 5-4. 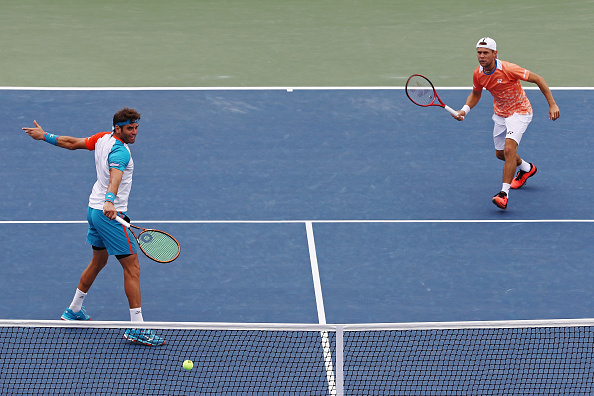 Having dealt with the pressure all set, Albot/Jaziri grabbed a second match point. And this time, they would complete the upset to make the semifinals.